Broncho’s latest on Dine Alone Records, Just Enough Hip To Be Woman, pulls a lot of tired formulas and techniques from the 80’s new wave playbook for an effort that makes you glad that period of music is just a speck in the rear view mirror. In 2013, Broncho released a great album, Can’t Get Past The Lips. It was full of clever hooks, great harmonies, fun lyrics and a real garage-induced fuzz that sounded fresh in their capable hands and a total blast to spin at 33 &1/3 rpms. Here we are one year later, and apparently Broncho has been listening to a lot of Depeche Mode, Human League, Flock of Seagulls, Duran Duran and other contrived 80’s new wave bands that made you hate MTV, plus watching a lot of WB TV shows which just makes you hate broadcast TV. Apparently they’ve also become infatuated with reverb, because every song is cranked to 11, at times with almost comical effect. Just Enough Hip To Be Woman kicks off with “What,” a great song if it was sung by King Tuff, but a total knockoff since it isn’t sung by him. Next is “Class Historian,” one of the most moronic songs to hit the air waves in a while – the harmony sounds more appropriate for a pharmaceutical jingle for epilepsy than indie music. After that there are a couple of songs with drum machines, Casio-affected organ sequences, and a lot of other artifice from the 80’s that made a lot of new wave acts unworthy of your Walkman. Despite the misses, Broncho is a talented group, and their chops shine through on some good songs on the back end of the album. “NC-17,” “China,” and “Taj Mahal” capture the spirit and grandeur of 80’s that made new wave engaging despite its stylish bombast. “It’s On” is the strongest track on the record, a tight little garage rocker and the closest connection to Broncho’s past, and hopefully, the direction they’ll be headed in the future. BUY the LP from Dine Alone Records – exclusive red vinyl edition available ! 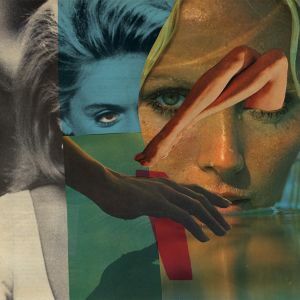 Posted on October 8, 2014 October 8, 2014 by em thompsonPosted in LP, ReviewsTagged alternative, BRONCHO, Dine Alone Records, garage rock, Just Enough Hip To Be Woman, pop. Cool review, bro. Curious to know what do you think of new wave? Thanks for your common STD, I like it, just not most of the groups that made MTV so unbearable. Some current “New Wave” bands that are cranking good stuff are Cold Puma, Black Bug, Holograms, John Maus, Little Girls & Blank Dogs.